Scott Klein, CTO at Cloud and Devices, explains how enterprises can leverage the built-in intelligence features of SQL Server 2017 to ensure DevOps pays off. To take advantage of all the benefits of DevOps, organizations need to create and fine-tune database queries. Luckily, SQL Server 2017 has all the built-in diagnostics you need, along with intelligence built into the engine based on these diagnostics to help automate, learn and adapt. 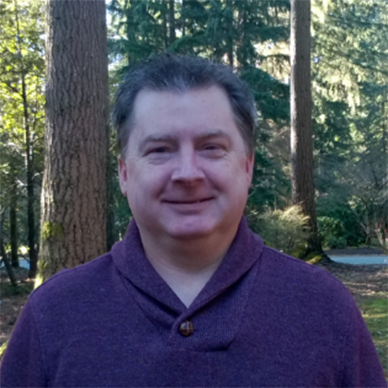 Scott Klein, CTO, Cloud and Devices, is going to explain exactly how to take advantage of these capabilities at an upcoming session at the Visual Studio Live! conference at Microsoft Headquarters in Redmond, running August 13-17. We caught up with Scott to find out what built-in features excite him the most, features that enterprises aren't taking advantage of but should, and more. What's the No. 1 intelligence feature built into SQL Server 2017 that you're most excited about? Tough one. I love the fact that it now runs on Linux is awesome, but there are so many to choose from. However, I love the automatic tuning. Great feature. Let SQL Server identify and performance problem and automatically fix it. Awesome. And what's your second most favorite? To me this is a tossup between Resumable online index rebuilds and the graph capabilities. How do the features in SQL Server 2016 and SQL Server 2017 compare? Microsoft really focused on key areas with 2017, such as performance and intelligence, but also added new features to MDS [Master Data Services] which we haven't seen in a while. A key feature is the ability to run it on the platform (OS) of your choice to open it up to other environments. What features do enterprises not take advantage of that they really should be? Can you give a specific example of a feature that can help an enterprise's bottom line? I'd like to see more enterprises using the Machine Learning Services. By adding Python and supporting leading machine learning algorithms, enterprises can extract useful information and get better insight into the data inside SQL Server. I think the challenge here is the learning curve. "I'd like to see more enterprises using the Machine Learning Services. By adding Python and supporting leading machine learning algorithms, enterprises can extract useful information and get better insight into the data inside SQL Server." In your upcoming session at Visual Studio Live! Redmond this August, you mention in your description that these tools are "the best in the industry" -- what makes you say so? Simply because SQL Server is becoming intelligent. Prior to 2017, SQL Server could track performance issues, but not doing anything about it other than notify you and log it. With 2017, SQL Server not only identifies the problem, but will recommend fixes and automatically fix the identified problem. SQL Server learns about your workload and ensures that your data is always optimized for the best performance. Are these features hard to implement? Not at all. They are built in! How important is it for the future of SQL Server that the features are cross-platform with Linux? Absolutely vital. I think this is long overdue as it continues the evolution of SQL Server, bringing its capabilities to previously unknown environments, letting Linux-focused enterprises take advantage of SQL Server's enterprise capabilities. What else about SQL Server 2017's built-in intelligence tools would you like to share with our audience? SQL Server's Adaptive Query Processing is awesome, period. It allows the SQL Server query processor to intelligently modify play choices based on real-time runtime characteristics.